During the Emergency First Response Instructor course, you will build on your skill as an Emergency Responder and focus on developing your instructional abilities to teach these skills to others. The Instructor course provides you with the additional training necessary to teach the Emergency First Response Primary Care (CPR), Secondary Care (First Aid) and Care for Children courses. (Region-specific courses including First Aid at Work Asia Pacific and First Aid at Work Great Britain require additional training.) Through a multi-media approach of independent study, classroom sessions and practical teaching assignments, you learn to conduct Emergency First Response courses. 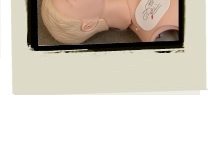 The EFR Instructor course covers specific goals and performance requirements for the Primary Care, Secondary Care and Care for Children courses, along with instruction on how to structure learning, the requirements of performance-based training, and your role as the instructor in the learning environment. You also learn how to motivate students, evaluate student knowledge, present course content effectively, become proficient in developing students' hands-on skills practice sessions, and are taught how to present an effective scenario-based learning experience . The course duration is two days or equivalent evenings. This is the minimum time that will allow you to avoided making common errors in teaching or marketing your EFR courses. Previously the EFR instructor course was a prerequisite for Padi Master Instructors. As of 2010 it is now also a prerequisite for Padi IDC Staff Instructors and an exit requirement for the Padi Instructor Examination i.e. all new Padi Instructors. Child Care professionals - Convenience, Cost Saving, Income. The convenience of offering you own in house training at time suitable to you and your colleagues could offer cost savings as well as additional potential income. GAP year students - Experience counts. If you are planning on taking an overseas dive intership, get a headstart on your peers by completing this course in advance. Allow time to get some certifications under your belt before you go and give yourself an advantage over the other interns. EFR instruction application & membership 2 calendar years. Currently £87.60 inc VAT not included. 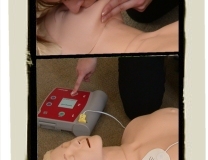 EFR FAW instruction application. Currently £69.00 inc VAT not included. *1 or equivalent Instructor level course. *4 Care for Children. As of March 2010 this is a recommended prequisite and not required. Course materials - Non rebreather mask (disposable). Certification card (on completion of the course). Evening courses available. The courses can be completed on either 1 evenings (Tuesday/Thursday) or 0.5 days (Saturday/Sunday). If you can not see a suitable date for your course, please contact us.